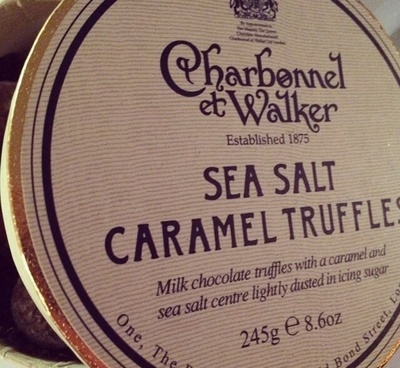 Charbonnel et Walker's sea salt truffles are quite simply, sublime. You know those moments when you bite into something and everything suddenly becomes okay? That is exactly what happened when I first took a bite of these darling little truffles. They're only small, but they're quite naughty and indulgent. These small wonders are icing sugar dusted dark chocolate truffles with a wonderfully wicked salted caramel centre. I received these as a gift from a friend at work because she knows I love chocolate. She chose right because these little beauties are my new favourite. You can buy these from Selfridges, WholeFoods and via the Charbonnel et Walker website.